One of the best things about raising your own chickens is knowing that your eggs are fresh. 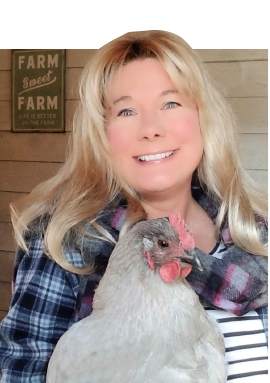 Since we’re heading in to prime egg production season, it’s likely that your chickens will soon be laying eggs faster than you can eat them, so I wanted to share are some tips on handling and storing your eggs to keep them fresh as long as possible. As a general rule, eggs should not be washed immediately after collecting them. As the last step in the laying process, the hen applies an invisible coating on the eggshell called the “bloom” that prevents air and bacteria from entering the egg through the pores in shell. It’s important to leave the bloom intact in order to keep your eggs fresh—washing the eggs will rinse off that protective barrier on the shell. As long as they haven’t been washed, eggs don’t necessarily need to be refrigerated. However, one day at room temperature is equivalent to a week in the refrigerator as far as egg freshness is concerned, so if you aren’t planning on eating your eggs for awhile, it is best to keep them chilled. Unwashed eggs will last at least two weeks at room temperature and three months or more in the refrigerator. Washed eggs will last for several months in the refrigerator as well, but since the bloom has been removed, they will still age faster and not taste as fresh. Eggs should always be stored with the pointy end facing down. The air sac in the blunt end helps keep moisture from being lost from the egg and also acts as a barrier between the shell and the yolk. Egg whites don’t provide a very bacteria-friendly environment, but the yolks do, however, so keeping any bacteria away from the yolk is important. Since eggshells are porous and will absorb odors, refrigerated eggs should alway be stored in a closed carton or covered container. When you’re ready to use your eggs, simply rinse them under warm running tap water. There is no need to use any soaps, detergents, or commercial egg washes. Plain water works fine. Just be sure it’s warm to avoid pulling any bacteria into the egg through the pores in the shell. Eggs shouldn’t be allowed to sit in the water, so place them in a colander to rinse them off, or rinse each egg individually under running water. The best way to avoid washing your eggs in the first place is to make sure they stay clean. The cleaner your nesting boxes stay, the cleaner the eggs. Nesting box bedding should be changed often so it is always clean, and chickens shouldn’t be allowed to sleep in the boxes. Eggs should be collected as often as possible, and at least once or twice a day at a minimum. Coop bedding should also be kept clean and replaced and refreshed as necessary so any manure in the bedding isn’t tracked into the boxes. That way the eggs should be clean and not caked with mud or chicken poop to alleviate the need for any real washing immediately after collecting them. Even if you take steps to keep your eggs clean, life on a farm is messy. Occasionally—no matter how hard you try to prevent it—you will end up with dirty eggs covered in mud or feces. If your eggs are dirty and must be washed immediately after collecting them, then you’ll need to refrigerate them immediately after rinsing them off. Be sure to use those eggs first, since now the bloom has been removed and the integrity of the eggshell compromised. As an alternative to washing, you can gently scrub off any debris with a rough cloth, paper towel or your fingernail. Following these few tips, your eggs should stay fresh for as long as possible. Since eggs don’t last too long before being eaten on our farm, I like to leave a dozen or so eggs on the counter to be used first and then refrigerate the rest. Having a bowl or basket of pretty eggs out on the counter is a constant visual reminder of the simple joys of farm life.